As we enter the spring season in full force and the weather starts to warm up it gives you a great opportunity to take a long weekend getaway outside of Denver. Many of you may still be busy hitting the slopes (and there’s still plenty of time for that), but if you’re looking to start enjoying the spring weather right away then check out these great trips close by! 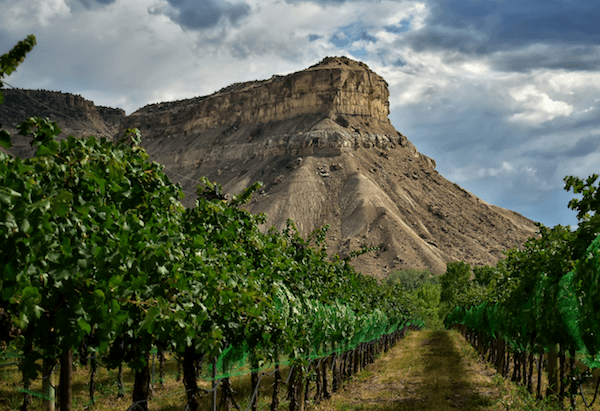 If you’ve had enough of the snow or your legs are worn out from skiing all winter, it’s time you visited Colorado’s own wine country! The quaint, art-focused towns such as Paonia offer a break from Colorado’s spring snowstorms due to their lower elevation, while still providing plenty of mountain views. Azura and Stone Cottage Cellars are not to be missed whether you’re a casual wine drinker or a connoisseur. A stay at a local bed and breakfast would be the cherry on top for this trip – we recommend Agape Farm and Retreat! Just 4-5 hours south of Denver is the unique and exciting town of Taos, New Mexico! Taos offers a desert landscape with the beautiful Sangre de Cristo Mountains as a backdrop. Stay at the historic Hotel La Fonda downtown to have easy access to all of the town’s funky eateries and bars while taking in all of the quaint adobe homes, some more than 1,000 years old. After checking out the town, take a short drive to the Ojo Caliente Hot Springs and Spa with geothermal mineral waters in 11 different pools and a must-try mud pool! Thankfully most of our Colorado ski resorts stay open through April providing ample time to hit the slopes. If you’re looking for a spring ski getaway head over to Crested Butte its 4-hour drive from Denver will keep you away from most of the I-70 traffic. Crested Butte and Breckenridge are perfect spring trips with an abundance of outdoor activities as well as lodging and food options to give you no excuse to be bored. We’re lucky to live in a state with so much to do and see all year round. From ski bums to wine connoisseurs, there truly is something for everyone to enjoy and take in the beauty of Colorado at the same time. How do you plan to enjoy the fresh spring weather?